It’s no question that Key West is home to many great restaurants. This island is a seafood lover’s paradise! Everyone has advice on where to indulge in dinner in Key West, and there are just as many excellent places to go for a delicious lunch. 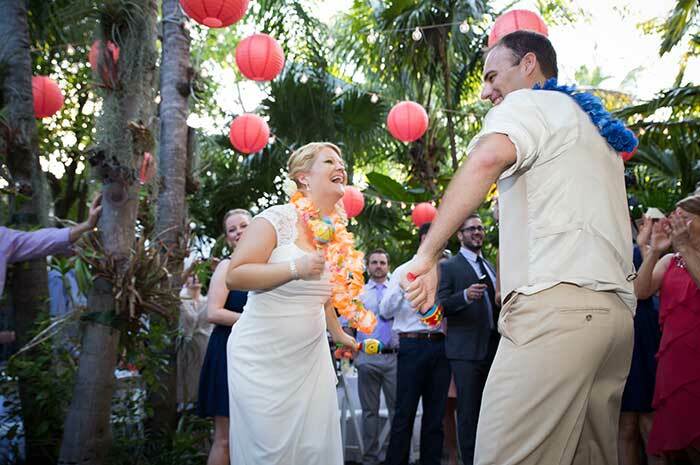 Better yet, our favorites are all within easy walking distance of Old Town Manor. We’re naming the best lunch restaurants in Key West. A short block from Old Town Manor at the corner of Caroline and Duval Street, you’ll find Caroline’s Cafe on the grounds of an old mansion, Porter Place, circa 1838. They serve up salads, sandwiches, entrees and more in a relaxed casual atmosphere. There’s even a full bar and a kids menu. Try the portobello sandwich or the shrimp and bacon club for something unique and delicious. This is a great spot for Duval Street people-watching with something for everyone on the menu. 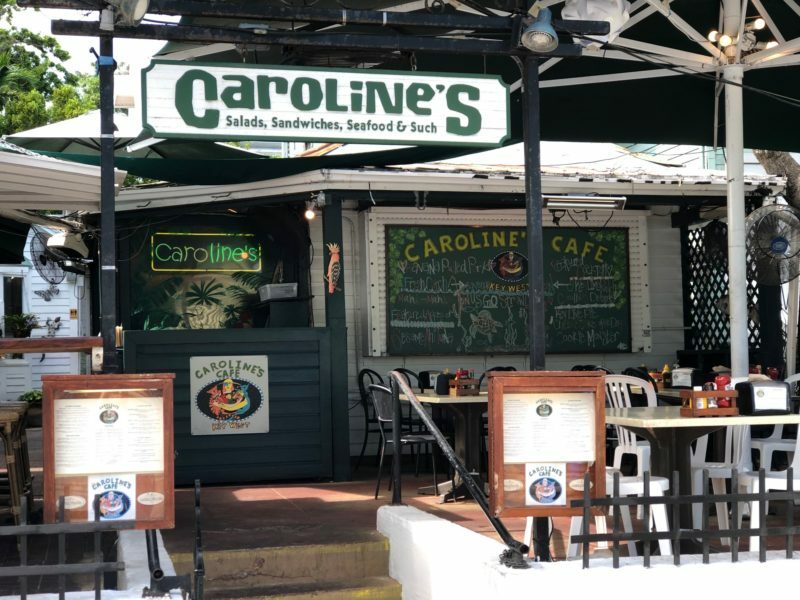 If you’d rather dine off-site, Caroline’s offers free delivery in Old Town. 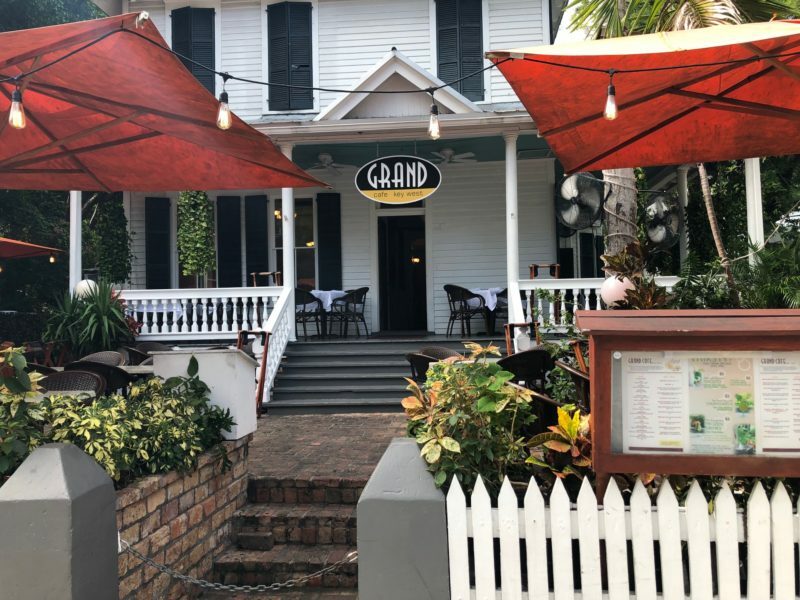 Right next door to Caroline’s, the Grand Cafe is a family-owned restaurant housed in another grand mansion at 314 Duval, only half a block away from Old Town Manor. A little less casual, it rivals Caroline’s with its Duval Street people watching fun. You can enjoy your meal inside the beautiful old home or on the wide front patio. Their eclectic and creative menu includes small plates, salads, paninis and a wide variety of sandwiches from burgers to shrimp to fish. There’s also a full bar, a tempting dessert menu and a children’s menu. 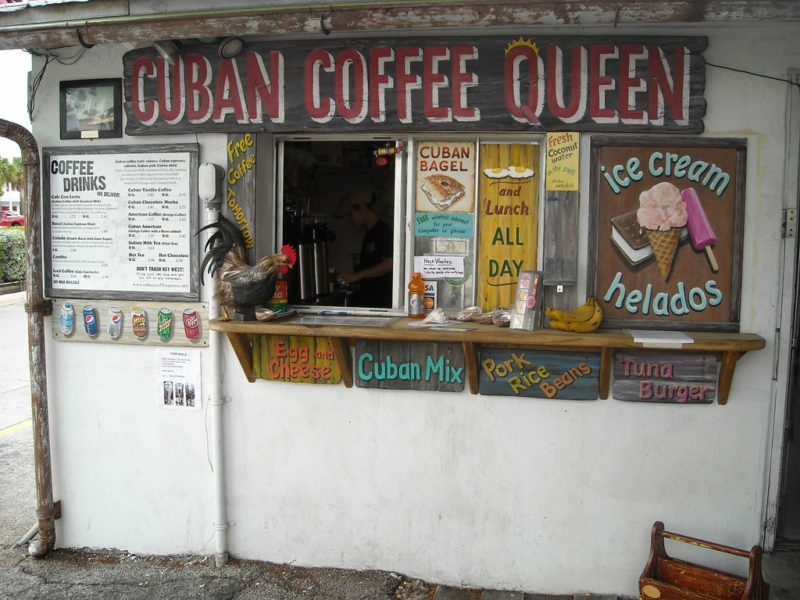 Cuban Coffee Queen, with two locations downtown (524 Margaret and 508 Southard in Key Lime Square), does a lot more than just the whole gamut of fabulous Cuban coffees. If your appetite is light, you can try the traditional Cuban toast – a pressed and heated sandwich on a baguette of Cuban bread with cheese or butter. 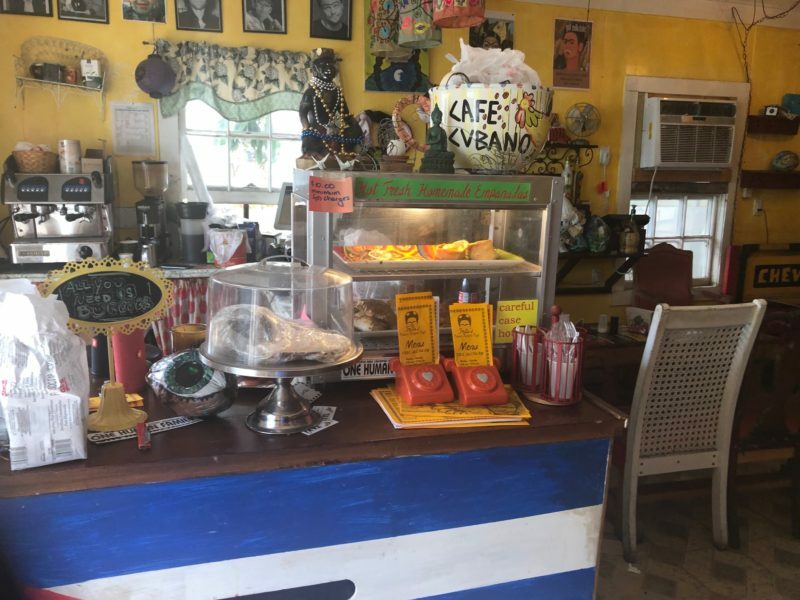 More hearty fare includes three varieties of the ever popular Cuban Mix among their sandwich offerings as well as salads and black beans and rice. Their grilled cheese sandwich with tomato on whole wheat is one of the best comfort food options on the island. They also offer free delivery. Mam’s 405 Petronia is a wonderful part of the multicultural mosaic that is Key West’s culture and food scene. The Mediterranean/Israeli restaurant is literally in the garage of an old house. Order your food at the walk-up window and relax on the paved patio. It sounds rustic, but the hospitality is wonderful. This local’s favorite spot closes daily at 6:30 pm, so don’t save yourself for dinner – bring your appetite for lunch! You won’t find better falafel, the house specialty, anywhere. There are plenty of recognizable entrees, like chicken, omelets and sandwiches, but this is a place to try something new, like bourekas (stuffed pastry) or malawach, a yemini delicacy of fried puff pastry bread. 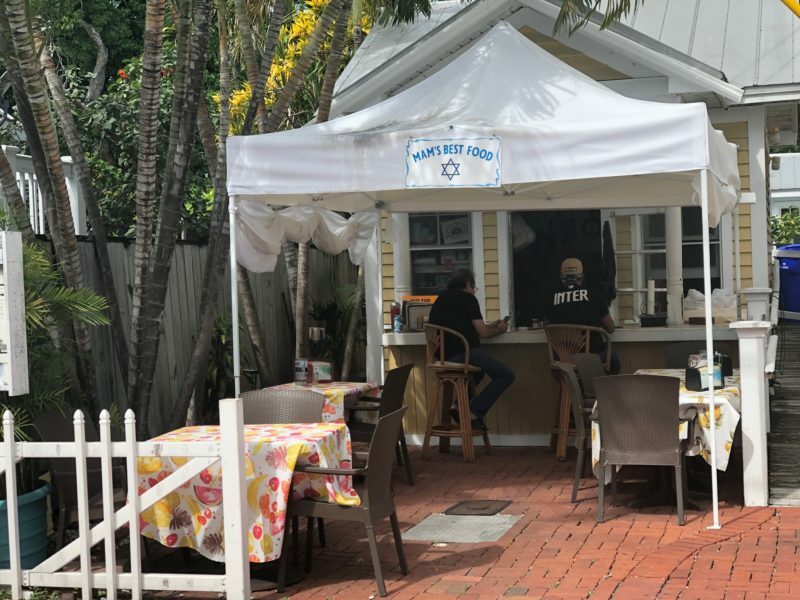 Fritas Cuban Burger, 425 Southard, has been described as a “quaint shack with outdoor seating”. The delicious menu consists of popular Cuban fare and the famous South Florida Cuban Frita Burger. The “frita” is a beef and pork burger patty, seasoned with garlic and Spanish spices, topped with onion and frita sauce and then “crowned” with crisp fried julienne potatoes under the bun. Is your mouth watering yet? This delicious dish originated here in South Florida! Arepas, sandwiches, salads, and more await you as well. There’s also Cuban/Cajun fusion Mufalletta that tastes like the best of both worlds. 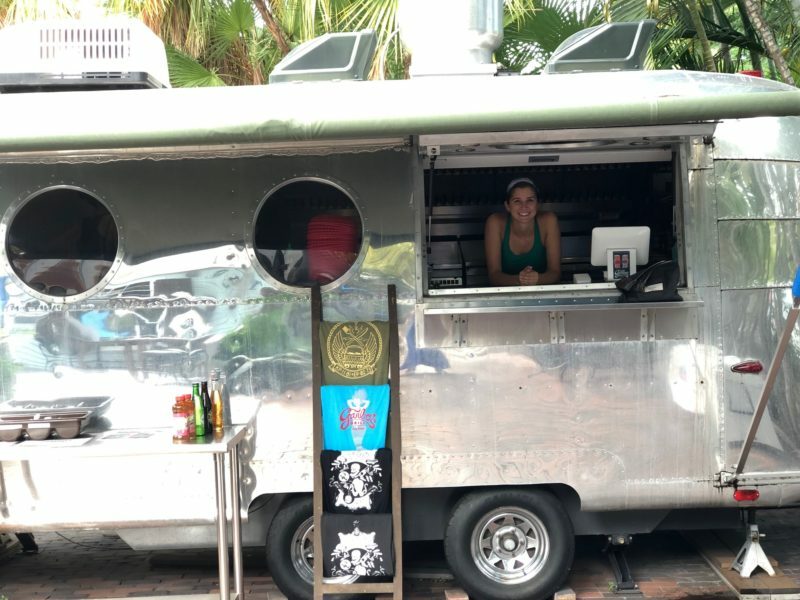 There are a good handful of fantastic new-ish food trucks to Key West, and Garbo’s Grill at 409 Caroline is by far the most popular. The people behind Garbo’s make magic from a tiny 6 by 8 foot food cart. If you only eat only one fish taco in Key West, eat it here! Also on the menu are shrimp, as well as Korean BBQ beef tacos or burritos, a umami burger and hot dogs two ways, including one with mango. Wash your lunch down with a drink from Grunt’s Bar on the same property. 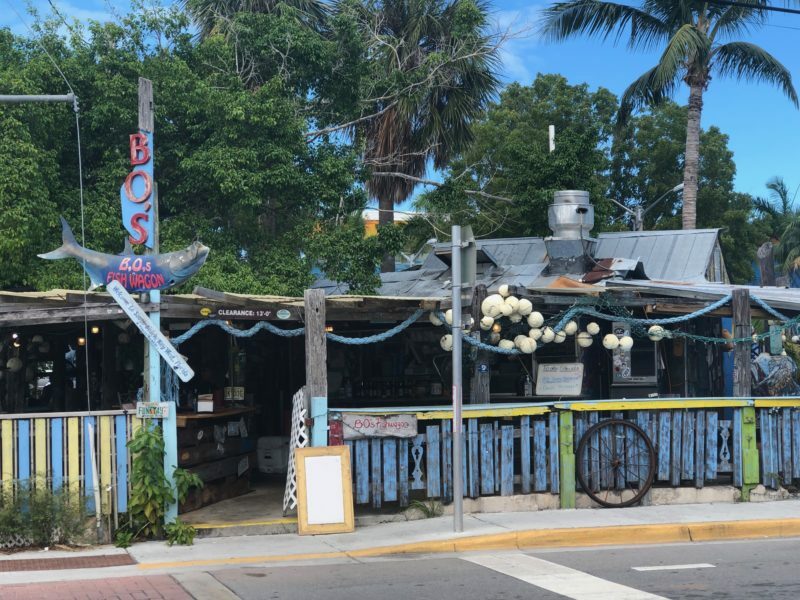 B.O.’s Fish Wagon is a funky driftwood shack at 801 Caroline, the corner of William and Caroline Street, and it is a Key West institution. Buddy Owen made his living in the insurance field, but he loved to fish and began selling fish sandwiches from his home. These grew and grew in popularity until he found a whole new career as a fishmonger. He opened a little stand on Fleming and Duval Street where he sold his fish sandwiches. Signs saying “Gone Fishin” were often up on that stand so you knew the food was fresh! When stands were outlawed on his Duval Street corner, the City helped him move to the Caroline Street location. He still serves up fresh Key West seafood, fried or grilled and a few items for landlubbers like burgers and dogs. These are just a few of the great lunch experiences you can walk to from Old Town Manor. Bon Apetit! 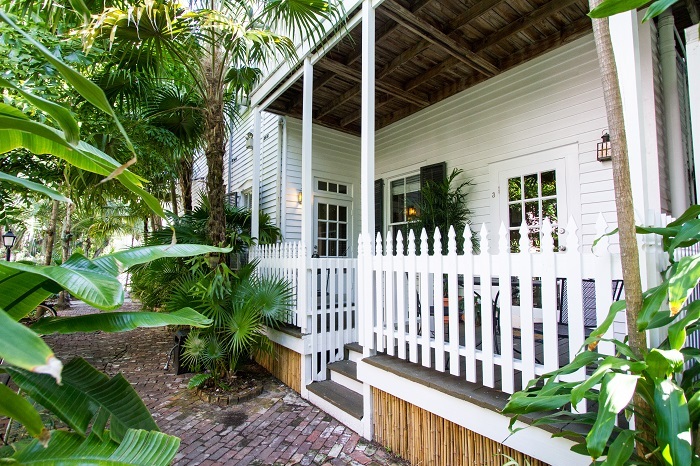 Hungry for Key West’s awesome food scene? 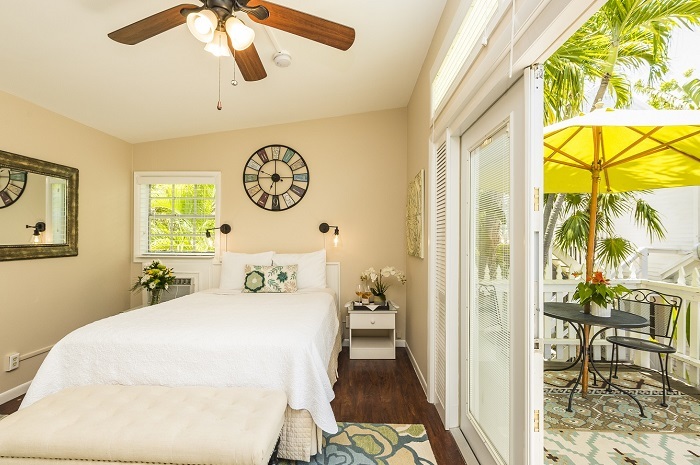 Check the availability at Old Town Manor and Rose Lane Villas here. 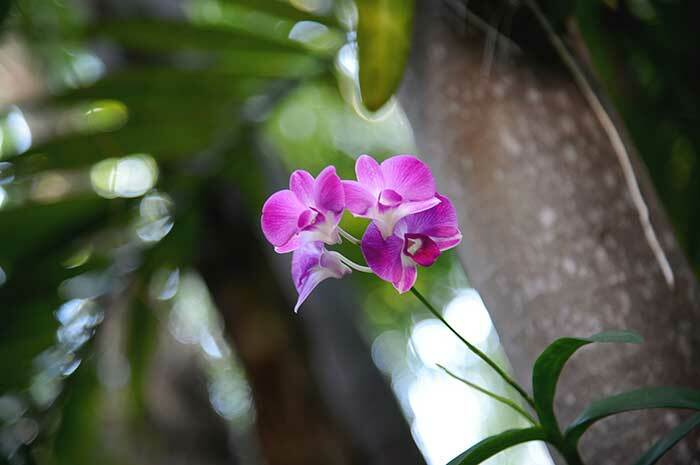 Read our other concierge pics and Key West blogs here.